Please click on images to view bios. 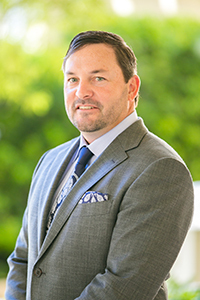 Todd Stark, President of Redwood Construction, has been in the construction and multifamily business for over 30 years, 15 of which have been with FPA and Redwood Construction. While overseeing all construction activity for FPA, Mr. Stark works with current and future investors to procure future funding and report progress with active investments. 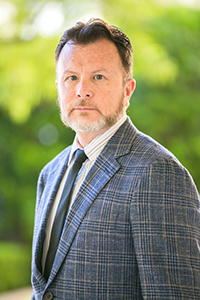 Prior to being appointed President of Redwood in December of 2006, Mr. Stark held positions as a Project Manager, as an Area Project Manager, and as a Regional Construction Manager. Responsible for approving new acquisitions, renovations, and new development, Mr. Stark is an active member of the investment committee and has worked directly on over 600 projects while with Redwood. 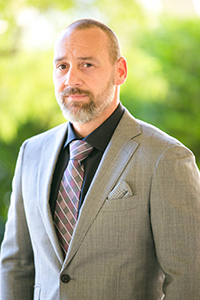 Prior to Redwood, Mr. Stark was a partner with Inland Home Builders Inc., working on million-dollar custom homes, multifamily apartment complexes, zoning, entitlements, and the development of tract housing. Mr. Stark also has experience in concrete tilt up and wood framing of industrial buildings, government facilities, small office structures, large agricultural storage buildings, mixed use condominiums, international shopping center and was a Lead Project Manager on a Seattle Housing Authority redevelopment project which included roads, utilities, townhomes, single-family homes, and community centers. Jason Frontino, Executive Vice President of Redwood Construction, joined Trinity Property Consultants as a Maintenance Supervisor in 2007 before transferring to the Redwood team in 2012. Focusing on bettering families’ living situations by improving multifamily housing with quick turn rates, Jason focuses on honesty and integrity to support his team, in order to manage day to day operations that expedite the redesign and construction of preexisting apartment structures, furthering investor’s financial gain. 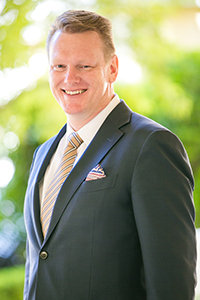 Born into the multifamily industry, he progressed through positions as a Project Manager, Regional Project Manager, and Vice President of the West Coast. 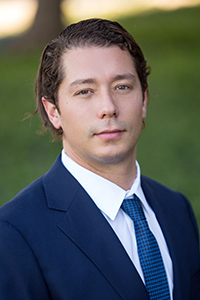 Prior to Redwood Construction and Trinity Property Consultants, Mr. Frontino was introduced to the multifamily construction division as a Porter and then progressed to a Regional Maintenance Director for Fairfield Properties. Sheldon Powell, Vice President of New Construction and Development, is responsible for new ground-up construction projects within FPA’s portfolio, including design, contract negotiations, subcontractors, tracking of profit and loss, and overall schedule and quality of projects. Mr. Powell has worked in the development field for 22 years and has worked extensively developing multi-family, mix-use and light industrial projects. He is highly knowledgeable in leading and overseeing teams of design and construction professionals. His expertise is in all stages of acquisitions, due diligence, entitlements, design and permitting, project construction, project marketing and lease-up to so stabilizing process. 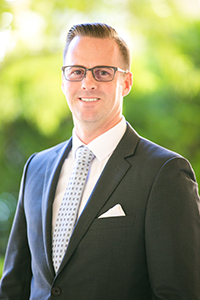 Prior to joining Redwood Construction, Mr. Powell was a Development Director for Gables residential, overseeing new development projects throughout Florida. 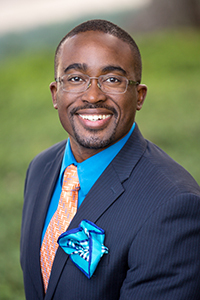 Mr. Powell received his B.S in Business Administration with a concentration in management from Florida International University and he obtained his M.B.A with a concentration in finance and master’s certificate in Real Estate Development from the Nova Southeastern University. Mr. Powell also holds a CCIM designation. As Vice President of New Construction, Francis Corso, problem solves in order to find solutions in regard to complicated projects focused in both commercial and hospitality departments that reduce risks and assist in the drive of assets to produce strong and healthy returns. After joining Red Tail Acquisitions in 2015, Mr. Corso has worked as a Project Manager, Senior Project Manager, and as Vice President of New Construction. Over the course of the past 3 years, he has worked directly on 50 properties, inclusive of his 29 current projects, two of which are new development for hospitality. Through budgeting, quality control, and capital projections, Mr. Corso is able to structure his accomplishments and cycle from acquisition to disposition. Prior to Red Tail Acquisitions, Mr. Corso worked at a privately-owned real estate development and management company in which his responsibilities included the overseeing of all building management operations, evaluating future new-development opportunities, handling zoning and variance resolutions, and overall project management. 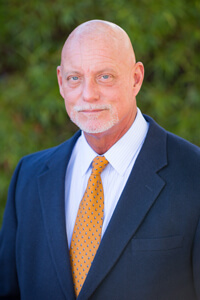 His educational background includes Mechanical Engineering with an emphasis in power and energy systems from Catholic University in Washington, D.C.
Vice President of the West Coast, Troy Stark, has been in the construction business for 27 years, starting his career as a laborer and then a part of the management team in 2004. In his three years with Redwood, he has been a Director of Due Diligence and a Regional Construction Manager. Troy focuses on the training of the construction managers on his team and within his territory, identifying potential issues and maintaining proactivity to ensure the accuracy of reported budgetary items while transferring monetary information to the Executive Team. Mr. Stark’s Redwood portfolio consists of 96 projects spanning throughout the West Coast Region. 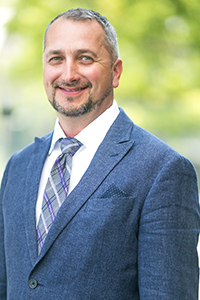 Prior to Redwood, Mr. Stark increased his knowledge by working as a Superintendent, Regional Construction Manager, and Vice President while procuring bids, providing reports and invoices, and bidding on new and current projects. He specialized on building envelope design and water intrusion prevention and remediation. Mr. Stark attended Columbia Basin College and was recruited to play the Drums for the school’s band. Vice President of the Midwest and Southeast, Trent Seibert, has been with Redwood Construction since 2012 and has accumulated over 10 years construction experience and knowledge. Mr. Seibert brings a versatile background to Redwood Construction by combining higher education with hands-on experience in various areas of the construction industry. He has worked directly on 50 different properties while with Redwood, and has held the titles of Project Manager, Area Construction Manager, and Regional Construction Manager. Prior to Redwood, Mr. Seibert was employed by Dawson Plumbing as a warehouse stocker and inventory and dispatch coordinator. He also gained experience through Benchmark Landscapes, Chuck Suddeth Landscape, Ramirez Concrete, and Western Waterproofing. His positions were inclusive of the designation of proposed installations, maintenance, irrigation, HVAC and renovations for multifamily housing. He has previously succeeded as a sales representative for two wholesale nurseries and received many accolades and awards for high volume sales and exceptional customer service. Alongside his field experience, Mr. Seibert has educational knowledge from Sul Ross State University in agricultural business and from Sam Houston State University in Horticulture. Mark Montgomery joined the Redwood team in March 2018 as a Regional Construction Manager. As a Vice President of the Northeast and Illinois Regions, Mr. Montgomery is responsible for the oversight of onsite project managers in his territory and respective markets, budget reconciliation, and creating clear and concise communication with the Executive Team in order to relay and delegate tasks and responsibilities to members within his team. During his time at Redwood, he has directly worked on 20 separate properties, overseeing and managing the capital improvements within his portfolio. Prior to Redwood, Mr. Montgomery worked as a Senior Construction Manager for the Donaldson Group where he accumulated 25 years of construction and multifamily experience. He graduated from Michigan State University with a B.A. in Economics and is a United States Marine Corps Veteran. As Vice President of Due Diligence, Wayne Newman is responsible for managing renovation budgets for new and existing properties in his territory, gathering pertinent information regarding potential risk factors contributing to transactions and investments, and working directly with the Executive Committee to ensure all acquisitions are maintaining a profitable outcome leading up to disposition. Mr. Newman has been with Redwood Construction since 2013 and has a total of 30 years construction experience. Starting as a Project Manager, he has also held the titles of Area Construction Manager and Regional Construction Manager. Mr. Newman strives to be ethical and diligent, while building high performance teams that continue to not only benefit the company, but benefit all current investors. He averages around 10 new projects per year accumulating over 50 projects in his portfolio. Prior to Redwood, Mr. Newman owned and was the President of Foxx Contractors for several years where he gained knowledge pertaining to commercial and residential construction, design, development, and management. As a lead supervisor for Stanley Automatic Doors and as a foreman at Intel Headquarters in Aloha, Oregon, Mr. Newman increased his experience and knowledge with the building of clean room walls and the installation of many types of automatic doors. As Vice President of Insurance Claims, Richard Guerrero, is involved in the process of identifying, assessing, and controlling threats that stem from financial uncertainty, legal liabilities, strategic management errors, accidents, and natural disasters all pertaining to the company’s capital and earnings. With over 30 years of experience in multifamily, hotel and commercial renovation, management, and maintenance, Mr. Guerrero has held positions as a Project Manager, Regional Construction Manager, National Director of Due Diligence, Director of Risk Management, and Vice President of Multifamily Renovations. Since joining the Redwood team in 2006, he has overseen 48 acquisitions, 30 claims, and 50 residential and commercial properties combined. Being responsible for leadership-direction, the support of strategic planning to ensure regional growth objectives, and the enforcement of the Executive Team’s policies and procedures, Mr. Guerrero values preparation, proactivity, and accountability. In his current capacity as Vice President of the Midwest Region, he continues to build strong teams that oversee all upcoming acquisitions in the Midwest markets. Prior to Redwood Construction, Mr. Guerrero worked as a Maintenance Supervisor, National Trainer, and ADA Project Manager for Archstone Smith over the span of 12 years, implementing moisture and mold guidelines, technical training curriculums, and ADA renovations. With a background in electrical engineering, Mr. Guerrero became interested in the multifamily construction business due to his curiosity to value engineer problems and create positive outcomes for the company as a whole. Reid Bradshaw, Director of Development, joined FPA’s team June of 2017 with a background including 14 years of construction and real estate experience. 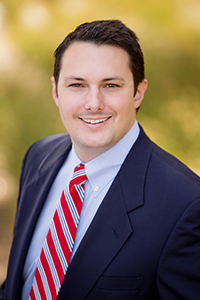 Mr. Bradshaw’s responsibilities include the coordination and management of land acquisition, and the entitlement, design, development, marketing, and lease of multifamily, new construction. He is the liaison between construction and property management, land entitlements, and FPA investment management including being held accountable for finding future site and land development opportunities. In his time with FPA, he has directly worked with 15 properties. Transferring his knowledge and experience as a Project Manager for The Related Companies of California, as a Director of Acquisitions for Archangel Global Investors, and as an Acquisitions Manager for SARES REGIS Group, Mr. Bradshaw contributes not only his field experience, but his knowledge in Finance from the Kelley School of Business at Indiana University Bloomington. National Design Director, Jamie Maldonado, has been a part of Redwood’s design team since 2014. Starting as a Project Manager, Ms. Maldonado then became a Designer and Regional Designer before being appointed as the National Design Director. In order to create spaces that directly and positively affect how people feel about where they reside and the surroundings of their community, Ms. Maldonado creates and implements innovative designs while leading the design department in delivering the best possible product. Ms. Maldonado’s Redwood portfolio includes over 50 properties in which she has executed the design of clubhouses, fitness centers, leasing offices, recreation rooms, business lounges, pools, and model units. Prior to Redwood, Ms. Maldonado attended the Savannah College of Art and Design where she obtained her B.F.A. in Interior Design. She then went on to create her own design studio, Jam Designs, which focused on high-end, residential design and boutique retail and commercial space. 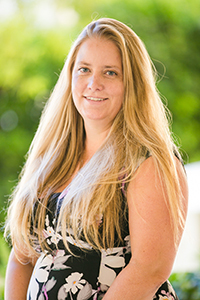 Stephanie Hazlett, The Controller of Construction and New Development, has been with FPA for 11 years. Ms. Hazlett is responsible for processing monthly draws and monitoring the progress of budgets to ensure that all projects stay within the original scope. She works directly with project accountants while processing mortgage payments and coordinating funding with lenders for current projects. Overseeing and managing the project accountant team, Ms. Hazlett leads all accounting operations for all divisions of FPA. Prior to FPA, Mrs. Hazlett worked for Geogrid Retaining Wall Systems as a project accountant in which she oversaw all projects and processed monthly billing. She attended California State University Fullerton where she obtained her Bachelor of Mathematics. 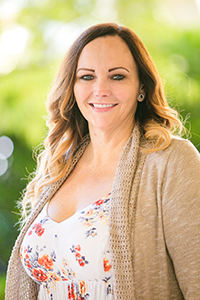 Melissa Hayes, Redwood’s Office Manager, has been with Redwood since September 2017. 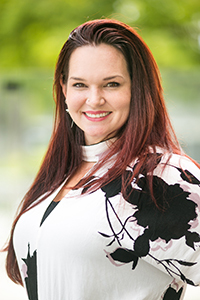 Her responsibilities include managing national accounts, delegating managerial tasks throughout the Redwood team, quarterly reports, expense reports, and organizing office operations and procedures. Prior to Redwood, Ms. Hayes was an Administrative Assistant, Operations Assistant, and an Executive Assistant/ Office Manager for Irwin Industries for 11 years. This is where she was introduced into the construction business due to the company’s specialties in general contracting, oil, and gas. If you have a passion for design and transforming properties through the renovation process, then a career with Redwood Construction may be the opportunity you’ve been looking for. With a growing portfolio of multi-family housing communities, commercial properties, campgrounds, and boutique hotels, our career paths continue to develop as we strive to provide innovative renovations and new construction concepts. From our Construction Crews to our Portfolio Managers, each member of our team contributes their own individual talents and strengths to ensure that Redwood Construction continues to provide unparalleled planning and project services. As our company continues to grow, we are seeking career-minded individuals that value our properties as much as they value the residents and guests that occupy them. Please send all resumes and inquiries to Katie Olson here.